chose to classify him, Bradbury was a prolific and influential figure in the literary world for over 6 decades. Bradbury began his career in 1938 with his first publication of a short story, Hollerbochen’s Dilemma. He went on to publish more than 20 other short stories before his first novel, The Martian Chronicles, hit the shelves in 1950, followed in 1953 by what is arguably his most famous work – Fahrenheit 451. Bradbury’s tale of a future where books are against the law and out of favor and burning them is the order of the day garnered both praise and criticism. Regardless of its reception at the time, the novel has proven remarkably resilient and is to this day being challenged and banned across the country – a badge of honor for any author, in my opinion. Born in the Midwest, Bradbury spent a lifetime writing and publishing short stories, novels, plays, screenplays and works of non-fiction. Among his last works were the 2010 play Wisdom 2116 and the 2011 collection of stories The Collected Stories of Ray Bradbury: A Critical Edition – Volume 1, 1938–1943. 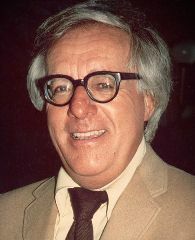 RIP Ray Bradbury, and thank you for decades of stories. I have no doubt that your work will endure.